VARUNA Pronounced: Var-oon-a. Noun. Vedic god of the ocean and of the law. 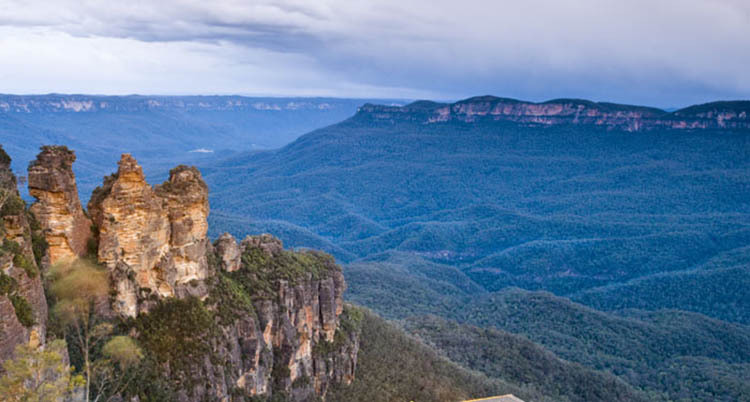 Place: Creative writing retreat in Katoomba, NSW. Set in a large garden, beside a nature reserve perched on the edge of the Katoomba escarpment, sits Varuna, the Writers’ Centre. It is a unique and delightful place to stay and work. The house was designed in the 1930s in a mixture of Art Deco and comfortably domestic architectural styles. Built for writer, Eleanor Dark and her husband Eric, the local GP, it was generously gifted to the Australian people by their son, Mick, through the Eleanor Dark Foundation. Now in his eighties, Mick still visits the house regularly to sit and talk with the writers in residence. I recently spent a week at Varuna and chatted with Mick for an hour, as scores of others must have done over the years. ‘Quiet – Writers at Work’ says a sign at the front of the property. And it is indeed silent as a monastery all day. Jancis and Vera, the helpful staff who manage the house, work in a nearby weatherboard office, formerly the garage and garden shed. A cook tiptoes in once a day to prepare a dinner and leave supplies. For one week at least, I and my companions – Andrew, Martine, Taryn, and Alison – do not have to lift a finger in domestic effort. We live like the Crawleys of Downton. There are no excuses therefore. The first curse of the writer, prevarication, is removed and I have no choice but to begin writing. The second curse is neutralised by removing the dongle from my laptop. No Internet means no checking emails. No googling for ‘research’ of dubious relevance. No ‘while-I’m-online-I’ll-just-check-Facebook’. While the others have a bedroom and study upstairs, I sleep in the narrow Maid’s Room next to the kitchen. (There is no narrow maid, I should explain.) The room feels appropriately like a hermit’s cell. It also means I have exclusive use of Eleanor Dark’s writing cottage in the garden. From 10 in the morning till the early hours of the following day, I sit at my wide desk alone, unconstrained by time or other distraction, pausing only to dine and catch up with the others for an hour. Time is no longer measured by the hour in carefully monitored allocations, but simply flows and carries me with it. The clock seems to move at my pace and no one else’s. After a week, I have done more writing than in the preceding three months. I have a full first draft of a novel. Thank you , Varuna. We shall meet again . . . This entry was tagged Creative writing, Eleanor Dark, Eleanor Dark Foundation, Katoomba, Novel, Varuna, writing. Bookmark the permalink.